Do you love the classic fruit style slot machines but the older version just isn’t doing it for you? NetEnt has your back! 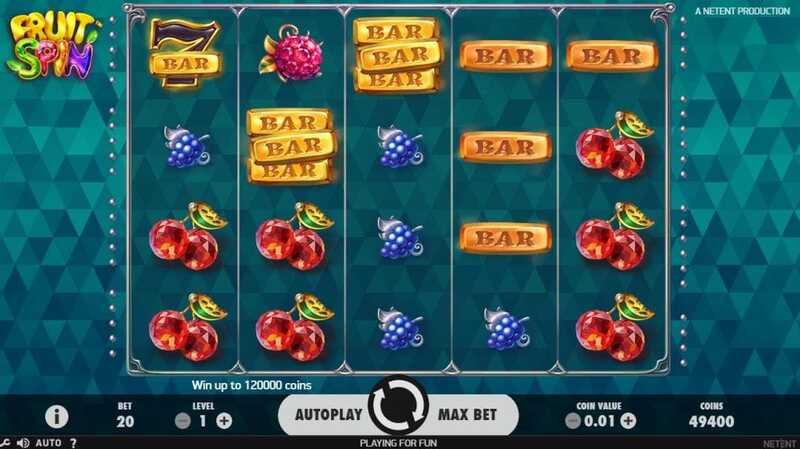 They have added some cool graphics, very funky audio and a modern twist on an old favourite in this new online slots game, Fruit Spin. The background has a crystallised effect with different shades of a very soothing blue colour and the reels themselves feature beautifully designed fruits, again in a crystal. There are limes, grapes, exotic dragon fruits, organs, cherries, gold bar symbols, silver bar symbols and lucky sevens. All the symbols seem to be made of silver or gold with a crystal finish and the reels are very beautiful to look at as you spin. Slots are our passion that's why we offer numerous creations by NetEnt. NetEnt are a pioneer of online casino gaming and are known for their user-friendly and highly engaging creations. Their games generally feature cool, realistic sound effects, colourful and stunning graphics and continue to engage players time after time, keeping them coming back to more and more of their amazing titles. With over 20 years of experience to draw from, and countless amazing gaming experiences in their portfolio, they have become well-known and respected leaders of the e-gaming market. This game is another classic, with beautiful imagery paired with cool sounds to immerse the player into the action. Visit Slotsbaby for promo's and updates! 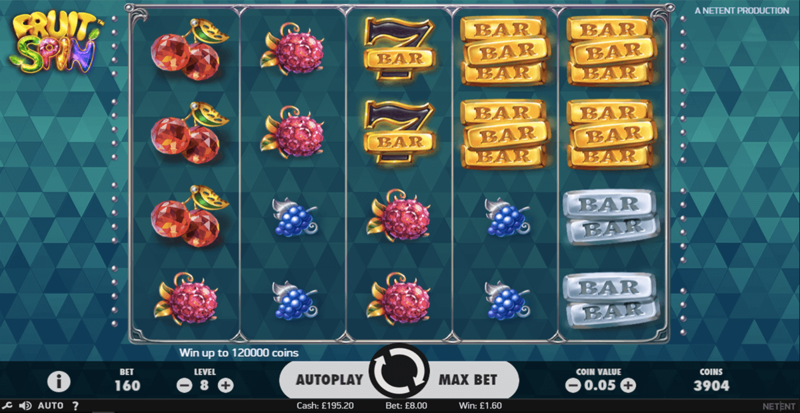 Slot machines have always been the most popular game in both online and live casinos, and the fruit games online try to tie in with the love of live casino slots. Many people love the fact that you can sit on your own, without a dealer or other players when in the live casinos and have full control of the play. This also helps to explain why online slots are so popular. You can sit in the comfort of your own home and play all day without interruption if you so choose. The entertainment value is most likely why slot machines, live and online, entice so many people from all over the world. THE WILD SYMBOL: The wild symbol in this slot game will substitute for all symbols except the scatter and 3x3 wild symbols can appear on the 3 middle reels in free spins only. LUCKY WHEELS FEATURE: 3X3 scatter symbols can appear anywhere on the reels in both the main game and free spins. If any part is visible after a spin, the Lucky Wheels Feature is activated. FREE SPINS: 3 Free Spin Symbols anywhere in the Lucky Wheels feature will activate 5 Free Spins. After collecting 3 Free Spins symbols, the free spin symbol will transform into an Extra Spin symbol. For every extra spin symbol appearing on the lucky wheels, 1 extra free spin is awarded. In Free Spins the Lucky Wheels contain an Extra Spin symbol and a 20-coin win symbol only. The Extra Spin symbol awards another Free Spin. Scatters appearing anywhere on the reels during Free Spins will reactivate the Lucky Wheels.